For those of you who haven't had it, buffalo/bison meat is a fantastic alternative to beef. Its lower in fat, cholesterol and calories than beef. That, and chances are that the bison (unlike the cow) were raised on a grass farm, so you're getting all the wonderful nutrients from the ground upward. I eat Buffalo in many ways (like buffalo halfsmokes), but my favorite way to use the ground beef to to make my Triple B Balls! The recipe isn't exact, so feel free to play around. Drink some wine, b/c your hands will get dirty in the mixing/ball forming process. And yes, mixing with your hands is mandatory. Once everything has been combined, you can throw this in the fridge for 5 minutes or start forming your balls. I generally go with 1.5-2" balls, and they'll shrink a little. Place balls into the pan to get a little brown (the key to getting them to stick together is this sear) on 2 sides (or 3 if you make them into fun triangular shape balls). Then transfer to a baking sheet. Continue until you've gone through all of the mixture, all the balls have been seared off a little, and your 2nd glass of wine is forthcoming. I like to sprinkle the BBBalls with a little bit of salt before they go into the oven (for 10-15 minutes to just finish off cooking). Yields about 40 balls. A serving should be between 3-5 balls, depending on how big you made them. I like to serve them either as a stand-alone with some veggies, or with a veggie ragout (a tarted up pasta sauce where I start with a jar of store-bought sauce, add in tons of garlic, red pepper flakes, zucchini, carrots, the other half of the onion, the rest of the mushrooms, and a little wine to just pull everything together). It's not an exact science, but the point is this -- play with your food, and a meat ball doesn't have to be 100% meat. I've also done variations with ground chicken, feta & spinach and turkey chili balls (dark turkey meat and red kidney beans). OOH Buffalo! Since moving to Montana I'm come to really like the stuff. Although sometimes the burgers get dry (since like you said there's less fat and grease) these balls sound delish!! Well notice -- the extras that I add into the balls add moisture. Noms! You'll have plenty of time to figure out what to do with the buffalo. Something is up with my computer and i swear it's running so slow i feel like i am on dial up. I read through the recipe and it sounds wonderful! 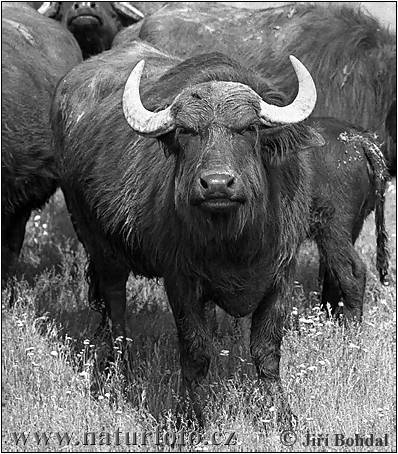 I love buffalo/bison. It has so much more flavor. Congrats on your tremendous weight loss!! I love bison!! I gave up beef 15 years ago but it is nice to have a little red meat in the diet. The recipe sounds yummy! Brigitte: I try to only eat meat when I know the source (i.e. it almost all comes from local producers). A little red meat goes a long way. These sound delicious! I love the use of barley and mushrooms instead of just bread crumbs. They'll give a great depth of flavor. Yum! Well hello julie! I'm surprised you didn't comment on the copious amounts of wine involved in the preparation! I like texture. If i'm going to do breadcrumbs, I'm going to make them myself and probably do something more like a crouton.